On the Ground: Scottsdale - Argo Group International Holdings, Ltd.
Visit the Old West to see how Scottsdale employees are active and give back, plus just how great the office building is on those 115-degree days. 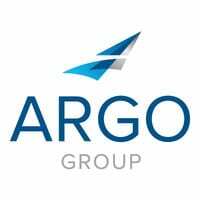 Argo Group is a diverse company with a global presence. The ​unique cultures, work environments and experiences that employees bring to the table give Argo opportunities to relate to, and help meet, the needs of a variety of customers. This “On the Ground” video series will visit all Argo offices to give employees in each a chance to see how their colleagues around the world live and work.